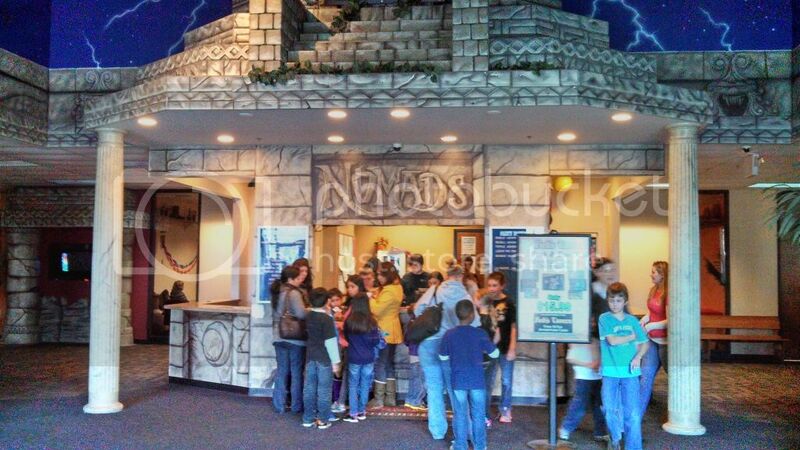 Recently I had an opportunity to visit Nomads Adventure Quest for a tour of their facility. I took the trip with 2 other members of the New Whalom Park Program to get ideas and insights from an operating FEC (Family Entertainment Center) as well as to see the Core Cashless Debit payment system in action. 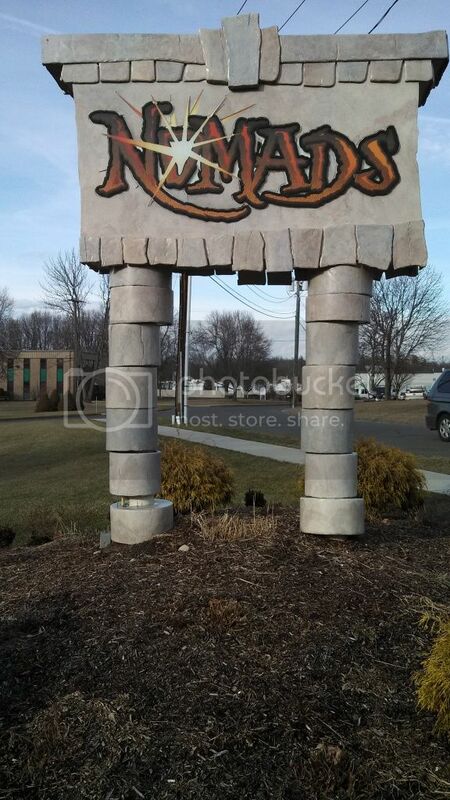 Nomads is located in South Windsor, CT a little over a hour and half from North Central Mass. We arrived just before 3pm and had a moment to settle in before our tour. The FEC is built within an existing warehouse. While they do have a nice sign up front there is nothing done to the front of the building. This doesn't really scream family attraction but it was obviously the right place given the waves of families coming in and out of the front door. The lobby was pretty cool with the bulk of the themeing and a nice check in counter. To the left there was a computer set up to register your card. It was reasonably spacious and you could access the attraction from either side of the counter. Behind the counter were 4 family party rooms. The FEC had a number of fiberglass themeing pieces throughout the facility (built by Art attack FX). Most of the walls were painted with some sort of art which was a pleasant change from simply solid colors. The facility had rugs throughout except for the dining area which was painted concrete, the basketball court, and the Tavern which had wood floors. The arcade was set up in a horseshoe shape along the back side of the main walkway. It features 55 games most of which are redemption games. 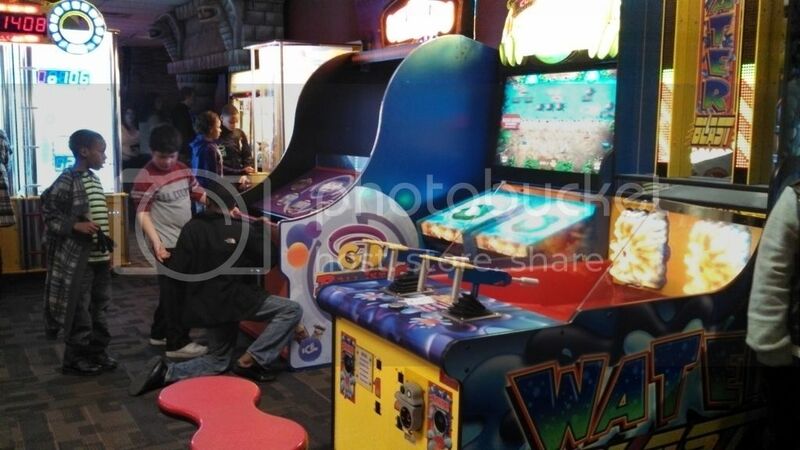 There were a few racing and shooting style arcades. I saw no classic arcade boxes or pinball machines. There was a Laser Tag Arena. It was very simple, just piping with florescent paint on them. This attraction I was told will be upgraded in the near future to something a bit more themed. Across from the laser tag was a mini/short lane bowling attraction. The FEC has 2 Amusement rides in 2 rooms one past the other. In the first room is a custom themed Drummer boy tea cup ride and a bumper car attraction in the back room. Both rides seemed popular and were operating well. I feel sorry for the employees though since they had to walk away from the ride to scan the riders’ cards. For the teens and adults there was a pool hall and a mechanical bull. 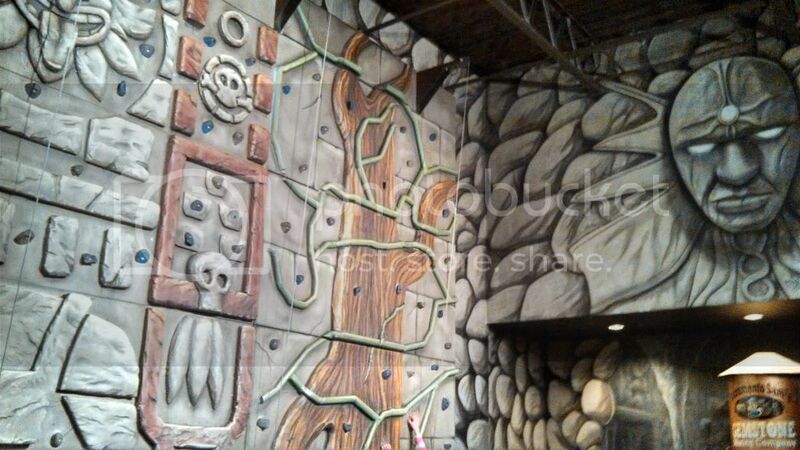 One of the coolest attractions in my mind was a highly themed rock climbing wall. There were 3 climbing options and the back wall just past the Rock wall had one of the best sculpture items within the FEC. There was also a gold panning attraction tucked in the back of this area. 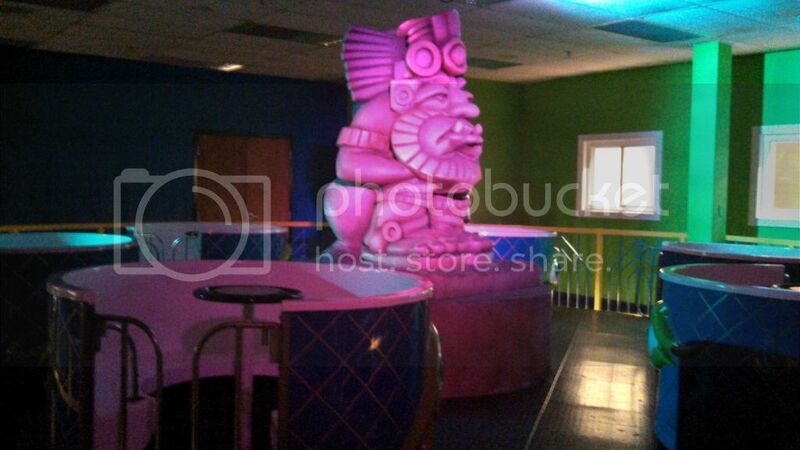 In the center behind the party rooms is a section set up with 2 bounce houses and a ball play gym structure. These attractions started out as a pay for use attraction but are now open for use. Though there is a private party bounce house room available for rent. Also available for rent are two large Banquet halls. 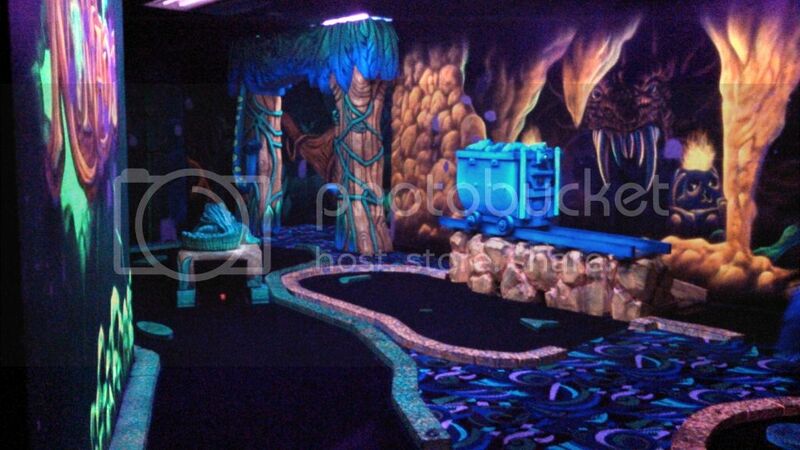 The black light mini golf attraction was very well done with cool 3D sculptures as well as painted walls. There were also themed archways between rooms. The course offered 9 holes and required no attendance. A machine was used to swipe your card and deliver a ball for play. 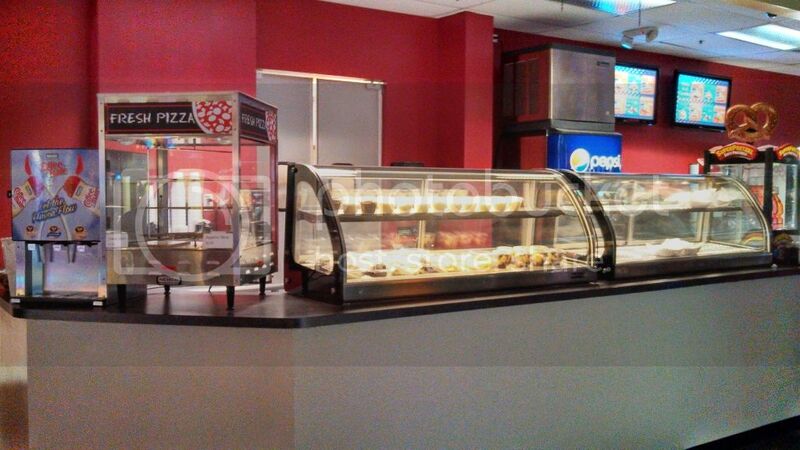 There were two food options a snack bar with a simple section of traditional food hot dogs burgers chicken. There was a simple dining area to the left of the counter. The second option and the gem of our trip was Red's Tavern a small 20 table restaurant and bar featuring a variety of higher level food. There was a stage which as a band playing later that day, a large variety of beer including many local micro brews. The food was fresh and very tasty. Great prices also. My BBQ Chicken Sandwich was only $8.50 and our entire bill of 3 meals, an appetizer one beer and 3 sodas (included refills) came to just over $43 dollars. We stayed and looked around. I played a couple arcade redemptions games. I won around 140 tickets which I handed off. I wasn't interested in any of the redemption items. I feel the redemption counter could have had more to offer and that the prices could be better. But overall our trip was very good and informative. On a side note we also took a walk over to the new Bowling alley, Revolutions, which had a very upscale feel to it and it owned and operated by Nomads.